Today is my blog's birthday! It turned FOUR! Here are my blog goals for 2016! Since organizing my makeup room, I started curating my makeup on an app called Snupps. I want to continue curating my collection, so I can easily search what I have by brand (too faced, mac, etc), type (lipstick, blush, highlighters, bronzers) and color (red lipstick, pink blush etc). Both have been remodeled, so all I have to do now is decorate each. I'll put together a YouTube video and show you when I'm finished decorating and organizing them. With all the construction, I've been pretty much glued to my house. With only 3 rooms left to remodel, I'll be able to show you more things in my city (New Orleans, Louisiana). These were two goals I listed last year. I started off really good with Sample Sundays, but eventually they got pushed aside. HaHaHa I'm going to try and do them again. If I don't review samples ON SUNDAYS, I may just post them anytime I can. I never got to a Sephora VIB Rouge event last year! I was ready to attend in November and my store decided not to have one :( So I will try again this year. To View My Past Blogiversary's Click HERE. Here are the winners of my giveaways! Linda R. ($50 New Year New You PayPal Giveaway), Laura K R ($25 PayPal Aveeno Giveaway) and Stephanie C. (MAC Mariah Carey All I Want and Dita Von Teese Lipstick Giveaway). Congratulations Ladies! I've sent you an email. Our blogs are such similar ages, it's funny! :) Hope that you manage to make all your blogging goals this year - with less remodeling taking up your effort and time you're sure to succeed with everything! Congrats on your success so far Kim ♥︎ I am so glad to have found your blog, I especially love your gif images of product reviews, so helpful! I have also been using Snupps lately and I find that I spend less on makeup now which, I don't like to admit because I love makeup. Congrats and Happy New Year may 2016 be as successful. congratulations kim :) cheers to more years of productive blogging :) stay awesome!! Congratulations on this milestone Kim! You know I think you and AVSB are awesome and I wish you all the best in achieving your goals. Been loving the peeks at your home remodel on FB and I look forward to seeing the big reveal once it's all done. Congrats on the Anniversary ! You have a make-up room? Wow, I don't feel so bad with my closet now! I did take over a dresser in my Mom's old room for my nail polish! Oh the things we do for cosmetics! Wish you much success with your blog in 2016, I don't think you need it however as you are just such a talented lady! Happy New Year!! Hehe, that's so awesome, congrats Kim! Ooooh, and super excited for when this video comes together! Happy new year and happy birthday A VERY SWEET BLOG! I would love to see more lifestyle posts too, Kim! Sample Sunday was cool. Please bring it back. Enjoy the rest of your weekend! Congrats and Happy Blogaversary to you!!!!!! Happy 4th anniversary to your blog Kim! This such a major accomplishment! I wish you all the best in 2016! Happy New Year! Congratulations!! You're made huge achievements. :) Happy New Year! Happy Birthday to your blog! And I can't wait to see what next year brings for you!! Happy blog birthday Kim and Happy 2016! Wishing you the most wonderful new year and great things in blogging. Sounds like you've good goals for yourself. Thanks for sharing this informative post of yours. Happy New Year!! Congratulations and happy birthday to your blog. Look forward to your upcoming posts, would be great to see the decorating you've been doing. Happy blog birthday Kim! That's amazing you've been blogging for four years! I'm excited to see your makeup room! How exciting! And more lifestyle posts from you too! All the best for the new year, and may your wishes come through, And happy blog birthday!!! Congratulations on this anniversary, I hope you can fulfill all your resolutions this 2016 and you follow have fun with your blog! Congratulations and I look forward to many more years of reading! I would like to see your Make-up room. I don't know anyone else who has a make-up room. 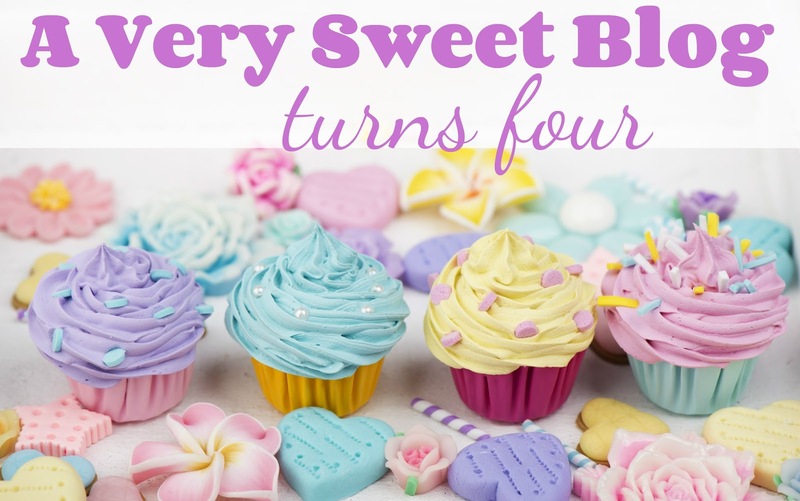 Happy 4rth Birthday on your Blog. Looking forward to all of your wonderful plans here on the Blog. Congratulations on your 4 year anniversary I know how good it must feel to make it this far and accomplish so much along the way. Happy new years and may it be a prosperous one! Wow, congratulations on this milestone. I wish you many more years of fabulous blogging. I'd love to curate my makeup too so I must get the app right away. Happy New Year girl. Happy Blogiversary!!! I'm sorry I've missed so much of 2015! Life has been...eventful this last year (though not in as interesting of a way as I would wish lol). I'm looking forward to all your posts, and I'm now downloading Snupps! Happy Blogiversary, beautiful! I love your blog and I can't wait too read all that you have in store for us this 2016, which I know will be amazing! Much success to you this year, beautiful, and congratulations on making 4 years! YAY, YAY, YAY! Happy bday to your very sweet blog, Kim! I'm so excited to see how you live, hehe! ;) Here's to another fabulous 4 years of honest and trustworthy makeup posts. Keep it up, honey! Happy Blogiversary, Kim! You've done a lot in 4 years! I hope 2016 is a great year for you! Congrats Kim, this is fantastic! I love reading your reviews and your thoughts on new and exciting brands. It's so cool you have a Makeup room! I need a Paris book room! Happy Blogiversary Kim! I can't believe it's only been four years, it seems like I know you forever. ;) Those are some awesome goals, I can't wait to see your brand new rooms. Wishing you many more years of blogging! OMG has it been that long that we have "known" each other :) ? I was struck when I read MAKE UP ROOM... OMG seriously, how cool is that?